Visions of Jesus Christ.com - Grete Ganseforth - Stigmatist. Left photo is of stigmatist Grete Ganseforth. 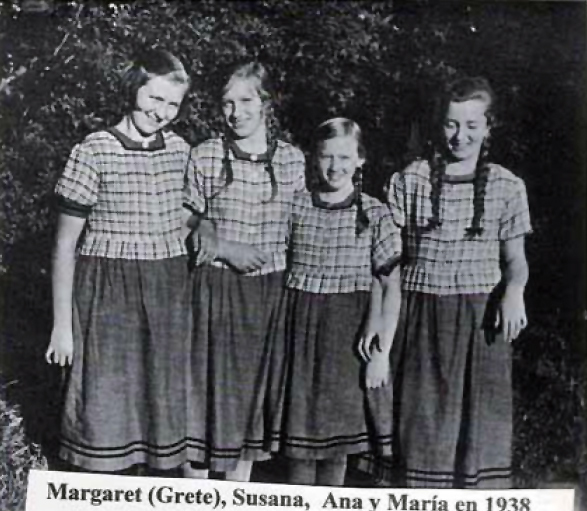 Right image is of Grete and 3 other girls who saw, and spoke to the Blessed Mother many times. Heede, Germany 1937-1945 - Due to the complete lack of cooperation from the world in fulfilling the Message of Fatima delivered in 1917, World War II, which the Virgin Mary promised would occur if Her Messages weren't heeded, was in its beginning stages. It should have come as no surprise that She should begin appearing in the country that was determined to enslave the world: Nazi Germany. Over the course of what was to be a total of 100 apparitions of the Blessed Virgin Mary to a total of four girls, under the title of Queen of the Universe, the visionaries were entrusted with prophecies, solemn messages, and secrets, including one for the Pope. Regarding one secret, however, She showed them visions of future catatrophes, and warned them that a horrifying event, called a "Minor Judgement", was in store for the future. This event is the same asThe Warning prophesied a few years later by Our Lady at Garbandal. She urged them to pray constantly, especially the Rosary, which She said has "immeasurable power", for the conversion of sinners, because "the world is about to drink the dregs of the Chalice of Divine Wrath." Despite her incredible beauty in each apparition, Our Lady's face was often solemn, at times severe, and on some occcasions, the Blessed Virgin shed tears. The four girls met with the usual double-edged sword of belief and skepticism among the villagers and pilgrims. But once the War was in full swing, and the Nazis heard about the events taking place in Heede, the Gestapo descended on the village, ordered the girls to quit the "superstitious nonsense", and threw them into an insane asylum for the period of one month. They were finally released when it was seen that their imprisonment wasn't doing the situation any good, but was angrying the villagers and especially the families of the girls. 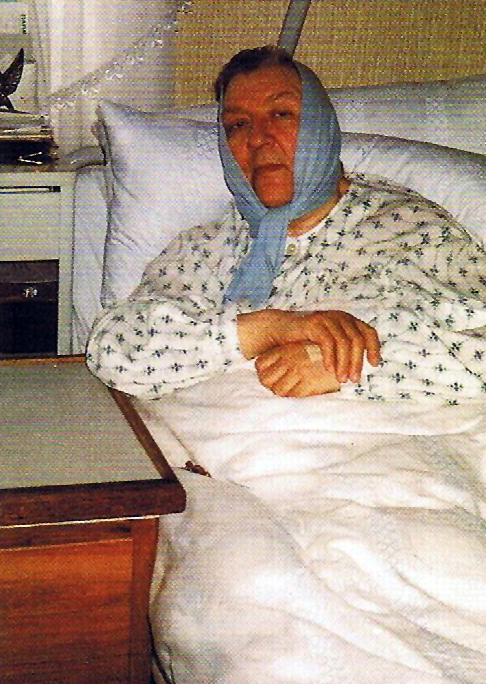 Particularly noteworthy of these latter events, on one occasion, while speaking about the "Minor Judgement", Jesus said solemnly to Greta: "For those who are not in the State of Grace (when the Minor Judgment happens) it will be frightful." On another occasion, a school dance was being prepared which apparently was going to exceed Catholic norms for modesty and decency. At the behest of Our Lord, Greta sought to have the dance cancelled, or at least modified so that it would not be a dangerous occasion of sin for the youth. She also appealed to the parents of the students to not allow their children to attend the dance, at the express warning of Christ Himself. Jesus said to Greta: "If they proceed with that dance, all involved will have to answer to Me at their Judgement." The dance was cancelled.